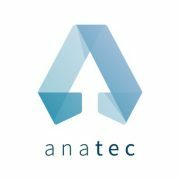 French asset manager Amundi has bought the remaining 51% stake in fintech Anatec, as reported by Reuters. Amundi, which is controlled by French bank Credit Agricole, already had a 49% stake in the firm. Anatec operates under the WeSave brand, and is a digital aggregator of savings and financial advisory services from different providers. The firm will keep its operational and commercial autonomy. With this announcement, it’s been confirmed that the chief executive of Amundi Asset Management Australia has departed, as the core business will be delegated to a local distributor. Brian Scott was the chief executive of Amundi Asset Management Australia for eight years until December 2018. Amundi is formerly known as Credit Agricole Asset Management, the merger between Credit Agricole Asset Management and Societe Generale Asset Management forced a rebrand. SocGen is no longer a shareholder.